This week plans were announced to reclassify thousands of schools into academies. 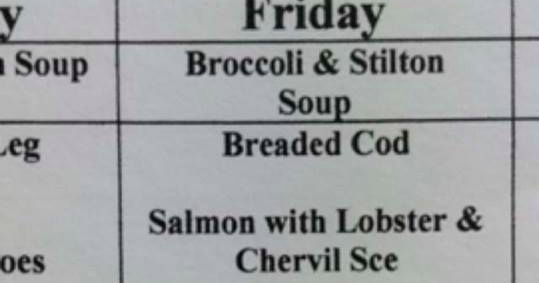 Meanwhile King’s School Canterbury, Kent, is serving salmon with lobster and chervil sauce for lunch today. 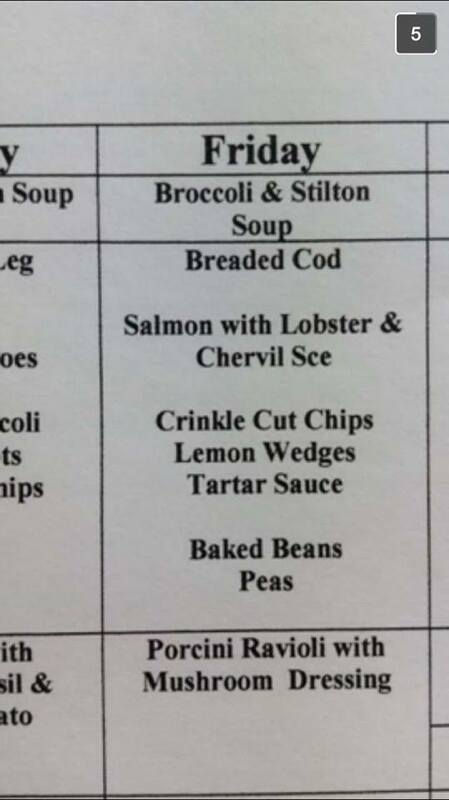 The luxury dish was only the second option to breaded cod and crinkle cut chips. Vegetarians were offered porcini ravioli with mushroom dressing. The starter was broccoli and stilton soup. Other weekly lunches include a roast lamb leg with mint sauce, baton carrots and a vegetable bisque. Fees at King’s School Canterbury are £8,865 for day students, but go up to £11,480 per term if you board.